Vandalia Correctional Center is located in Fayette County Illinois. 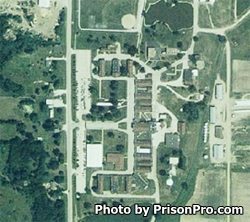 It is a minimum security prison that can house 1,694 adult male inmates. Offenders are housed in an open dormitory setting. This facility takes part in the correctional industries program which allows inmates to work various jobs in milk and juice production, processing of turkeys, vegetable oil processing plant, and spice production. Offenders are encouraged to take advantage of the programs offered including vocational courses that build skills in various construction trades, automotive and body repair and horticulture. Inmates can also take many educational courses to earn an adult basic education, a GED, and even college courses. General population has visitation everyday from 10am-7pm. You must arrive and be processed by 5pm or you will not be allowed to visit. Inmates are allowed seven visits per month, only three of the visits may occur on weekends or holidays. Segregation or inmates housed in the security building have visiting everyday from 10am-1pm. You must arrive no later than noon to be processed into visitation. Visits for segregation inmates are one hour in duration.